Galley Management and Menu Planning Integrated software system for Galley Management and Menu Planning. 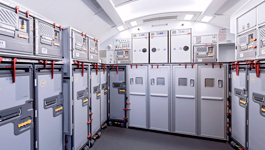 Airlines have been constantly been struggling with the need to enhance Galley stowage planning and catering equipment handling process. Many airlines still continue to use manual system or legacy software system which are cumbersome and unstable. The need to replace the system and process and to implement an industry standard is a must for all Airlines. AeroChef Galley is a solution that provided relevant functions and modules to support business critical activities for Galley Management such as designing, planning/loading equipment and publishing relevant documents/manuals to local and overseas caterers through internet. AeroChef for Galley Management & Menu planning has the following modules. AeroChef for Galley Management & Menu planning has the following features. Web based solution specially designed for Galley Management and sharing Galley Plans. Easily set up all your Master Data. Extensive User management facility for Airline and participating third party caterers. Ability to Draw/Design/Add /Edit Aircraft galley diagrams. Ability to Define Aircraft information. Ability to duplicate/copy any loaded aircraft . Ability to Draw/Design/Add/Edit miscellaneous stowage . Define allowed items or containers for each stowage bay. Facility to manage cart and container loading. Define loading for Bar/ Dry Stores / Retail / Meal carts on system . Easy Drag and Drop feature for Galley design. Seamlessly share information for Airline caterers. AeroChef for Galley Management & Menu planning has the following benefits. System will help facilitate rapid implementation of airline product changes . Streamline on-board movement of equipment. Handle Stowage planning and catering equipment process in a fast and efficient manner. Effective communication with all stake holders involved in the process via web. Reduce risk of human errors and improve performance. Effective and efficient access mechanism to all aircraft loading details. Streamline the process of equipment inventory management. Reduces fuel costs while increasing safety & improving customer service. Customer satisfaction of timely & accurate information.